Last week, to celebrate our seventh wedding anniversary, The Remix and I headed out on our first vacation in over six years, to our nation's capital city: Ottawa. It'd been about eight years since we've visited, and since it's the city we started dating in, because I was going to school there, we thought it'd be a great trip down memory lane. Also, it was a far enough of a drive (about five hours) that it felt like we actually went somewhere. Haha! To minimize my contact with stranger germs (because I'm still a sicky-face), we headed out on Tuesday, and stayed until Thursday. But in that short time, we packed in quite a bit of fun! I didn't take a lot of pictures, mostly because I'm not the best at actually remembering to take pictures, but I did take a few. The beginning of Parliament Hill (the copper-topped buildings on the left are where all the action happens). 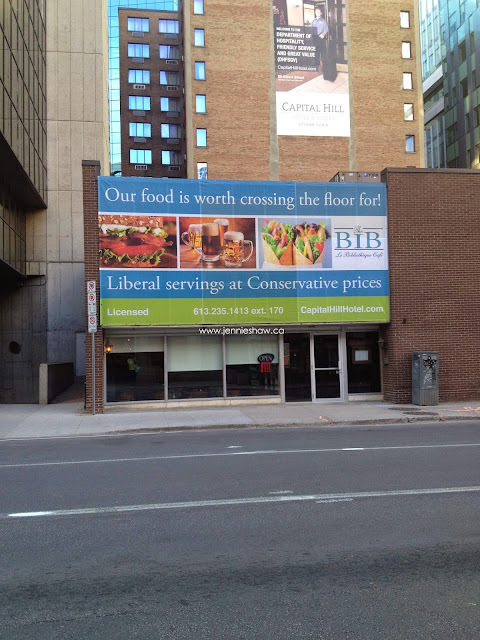 Our hotel was about a ten minute walk to the ByWard Market, which is where we spent the majority of our time. And with restaurants and bars galore, as well as fun shops and street performers, it was the place to be, even on a fairly un-busy weekday. We were a bit early for all the outdoor stands, but there was still a lot going on. 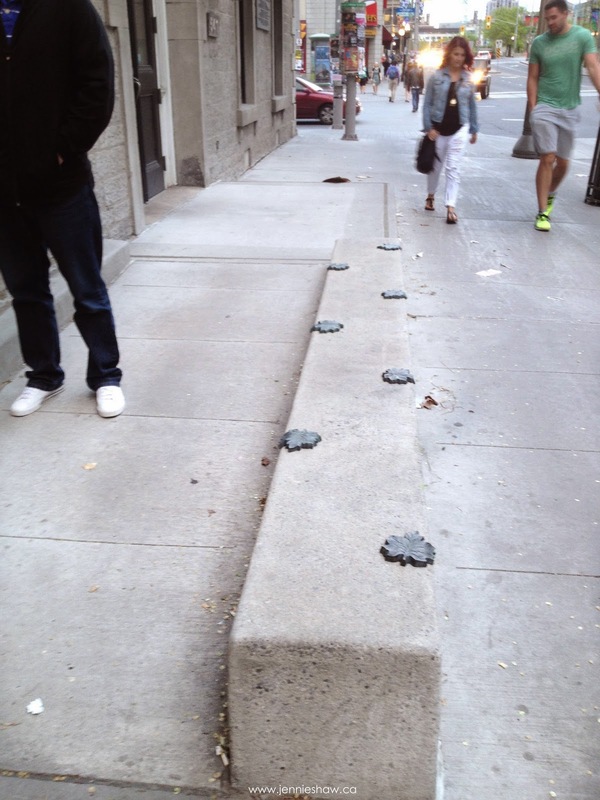 Along our stroll, we also discovered that Ottawa doesn't like skateboarders. On every surface where a railslide was possible, there were cement or iron decals. They were pretty, but it made Ottawa seem like a cranky old man, so boo-urns on that one, Ottawa. Haha! 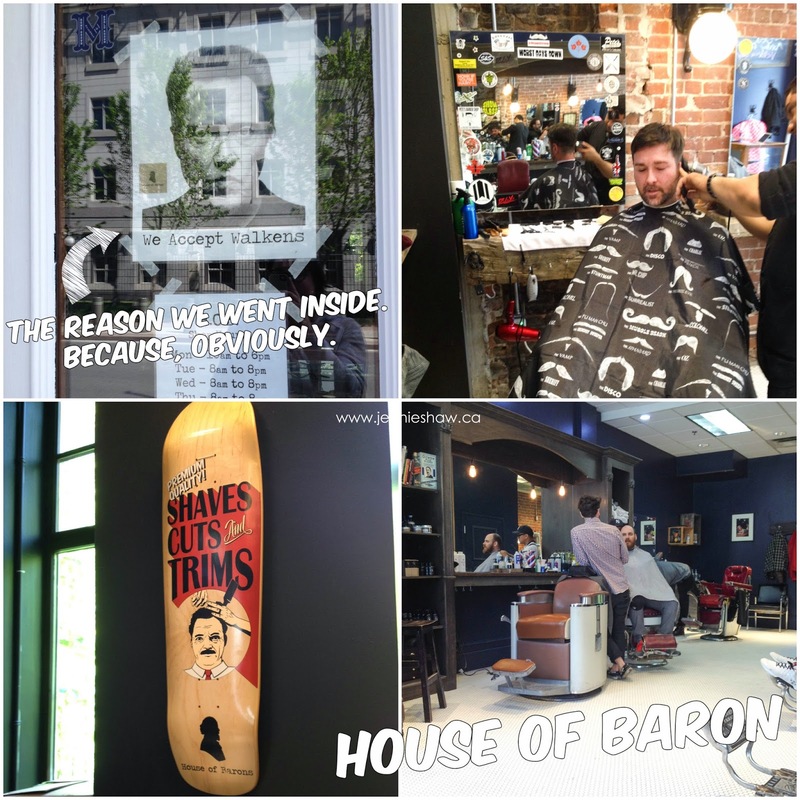 Then we found a super cool barber shop, called House of Barons, which was filled with hip dudes and friendly vibes. It's a prohibition-style shop, so all the chairs and decor were vintage, and the exposed brick walls gave the place a really cool feel. Plus, it was one of the best haircuts that The Remix has ever had. Whoops! I forgot the "S" on the end. It's supposed to read: House of Barons. 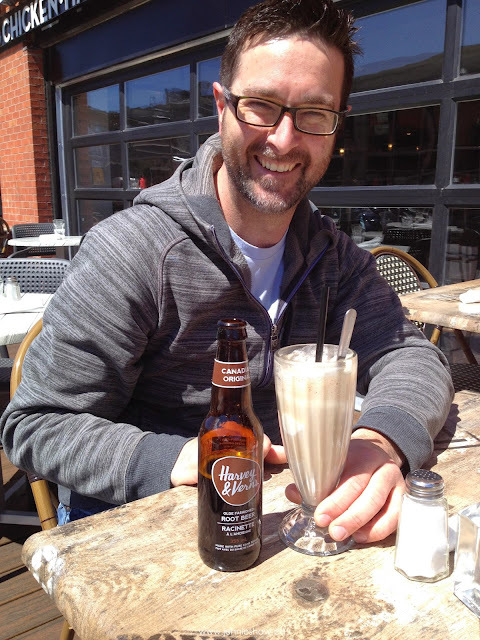 We met up with an East Coast Pal we haven't seen in a while, and sat outside, drinking root beer floats (or, they did, at least), soaking up the sunshine while we caught up. 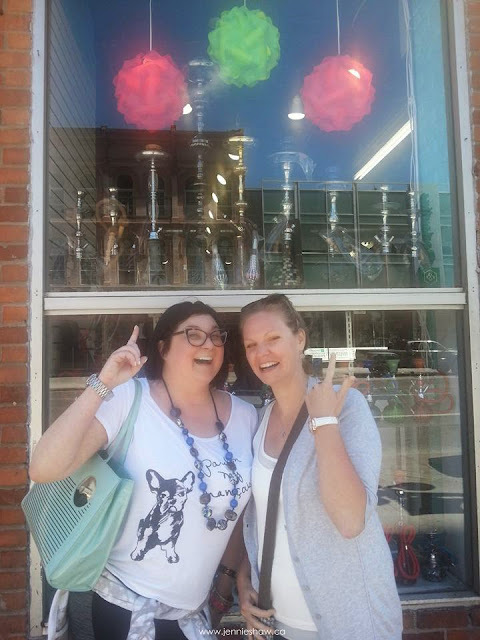 And then we went for a walk and found a crazy head shoppe, conveniently nestled between a tattoo parlour and a recruitment centre for the Church of Scientology. Obviously, we stopped to take a picture. Haha! 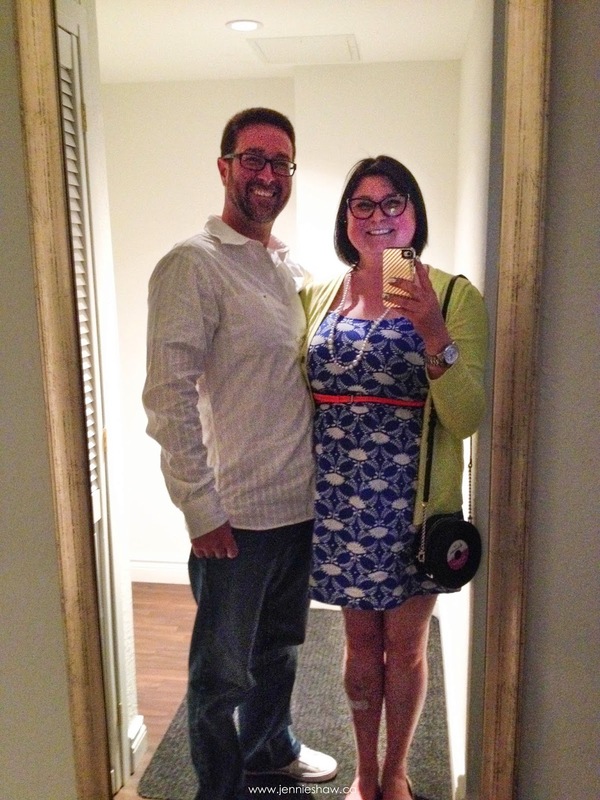 After our awesome catch-up, The Remix and I went back to the hotel to get ready for our anniversary supper. On our way back to the Market, we walked by this billboard and I laughed for the better part of five minutes. Well done there, Capital Hill Hotel. Haha! We found a cute Italian restaurant with delicious wood-fired pizza (which I forgot to take a picture of), but the atmosphere left a little bit to be desired, so we moved on to a swanky bar for drinks. 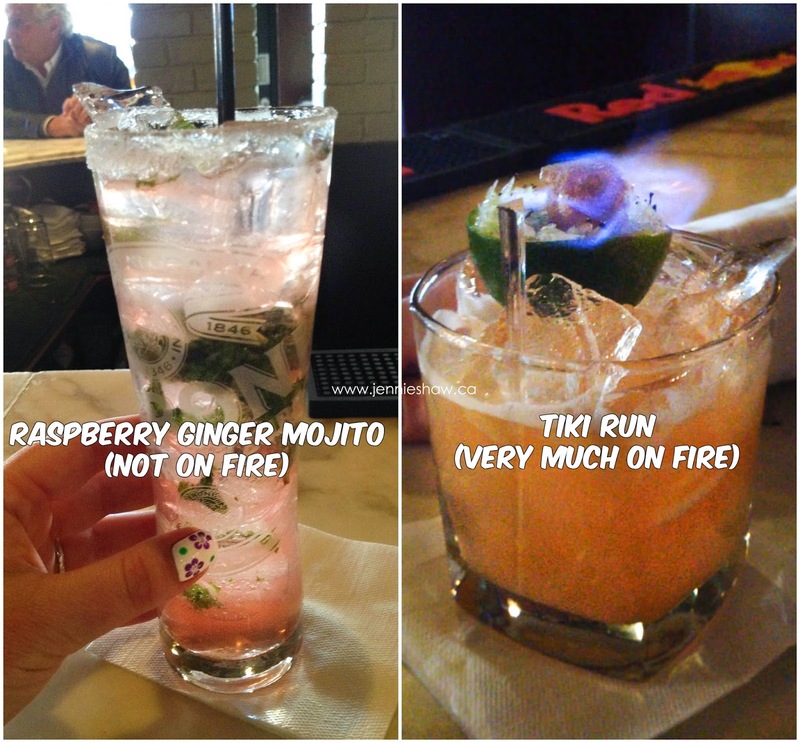 After a few of these delectable cocktails, we called it a night and headed back to the hotel. It'd been a big day for me, with all of the walking, but it was a super awesome time nonetheless. Yay! 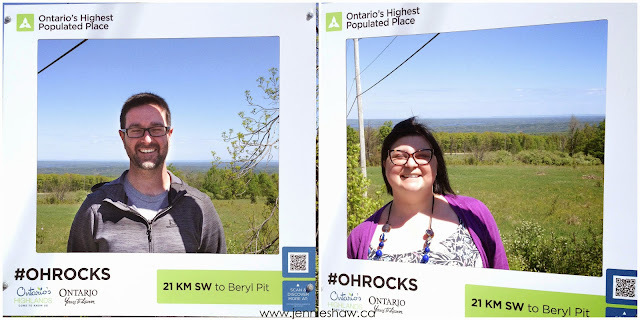 The next day, on the drive home, we decided to take the scenic route, through Algonquin park, and on the way, we saw this photo-op by the side of the road. Apparently, it was Ontario's Highest Populated Place. To finish off our week, we went for broke and swung by The Burger's Priest--the very best burger joint ever--for supper. I had my usual, called the Vatican City, which has two freshly-ground patties, and grilled cheese sandwiches made of hamburger buns. FYI: I patty-down, as in removing one of the patties, and I still can never finish this burger. But it's the only one that comes with grilled cheese sandwiches, which is why I still order it. 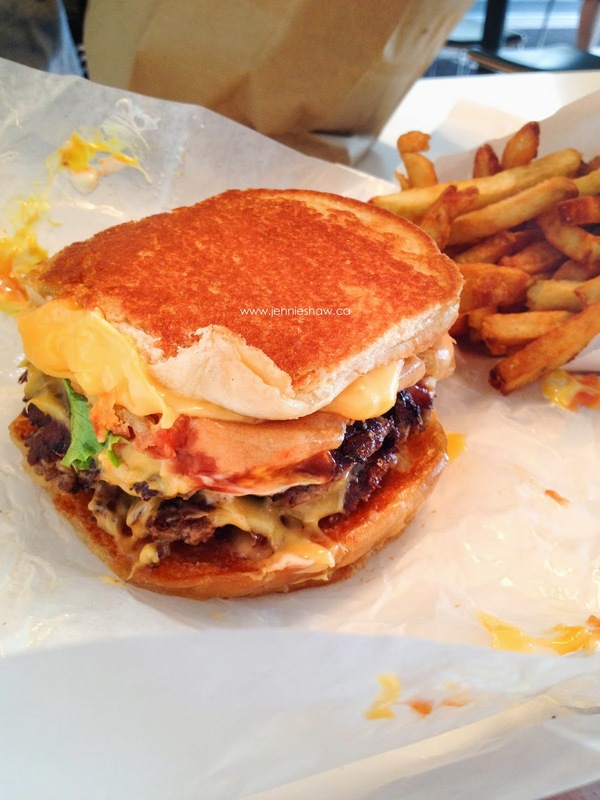 Because, the only thing that can make an incredible burger more incredible, is grilled cheese sandwich buns. Haha! So, now we're home and I won't lie; it's been a bummer to get back to real life. Haha! But I'm so happy that we were able to go away, and I hope that we can do it again in the future! Happy Anniversary! Glad you had a great trip. I hope you feel better soon. I want that burger so bad! Also super cute dress! Happy anniversary! Looks like it was a great time (and now I'm kinda bummed we're going to Calgary, not Ottawa). Remix is, of course, adorable. It's the grin (and the glasses). Thanks for sharing those pics...I know virtually nothing about Ottawa but it looks fun and quirky!